Popcorn Heaven is a gourmet popcorn store that creates unique, and most importantly, delicious popcorn flavors. We also specialize in making many deliciously irresistible flavors of homemade fudge right in our store. 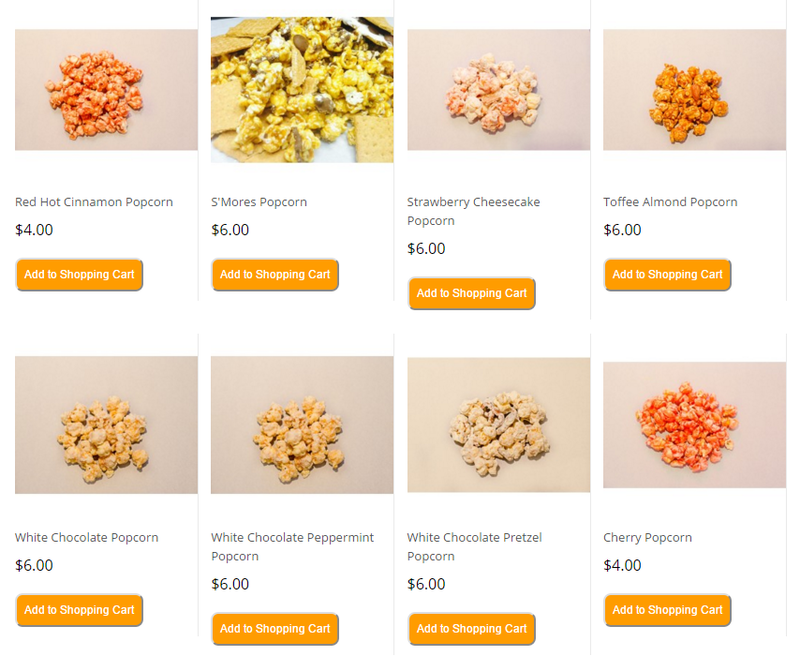 Popcorn Heaven is dedicated to giving our customers a fun and tasty experience with the best popcorn and fudge around. We love creating new recipes for different occasions and seasons. We also love to take customer suggestions and create exciting new flavors. Most of all, we love serving our customers with a smile and building relationships with popcorn and fudge lovers of all kinds. We created the website using Magento theme on WordPress . We created products with multiple size and pricing options. 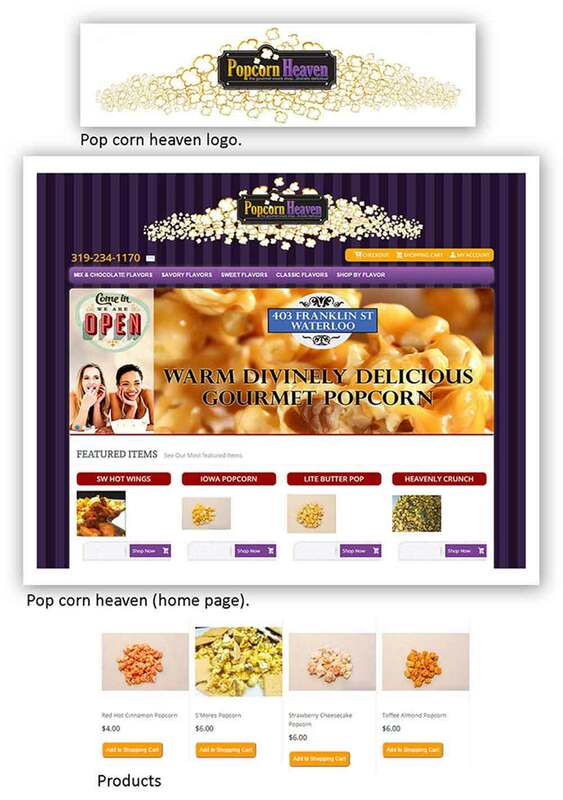 We created the Popcorn Heaven logo that was used on the website and social media channels, signage, popcorn packaging. We created management system for tracking orders online.It also tracks sales tax by state.